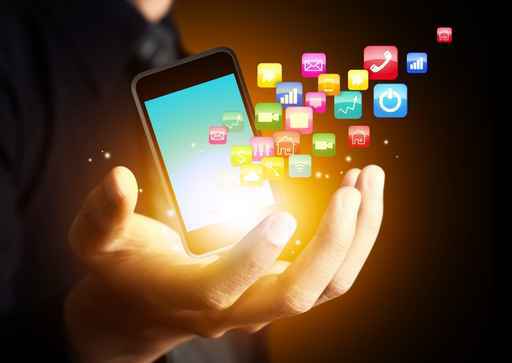 Mobile apps (applications) are a big tool for small businesses right now. You may be considering hiring a mobile app developer for your company, but aren’t quite sure what your app should do. Companies use apps in many different ways, and how you use yours may depend on what kind of business you have, the best uses of mobile technology, and what you want your app to accomplish. If you’re in a service industry, your app could be used to allow customers to make appointments or place orders. People love being able to order food for later delivery while out on the go. Retail businesses can allow their customers to order through their app, or can let the customer see what’s in stock before they head to the store. Retailers and other customer-oriented businesses can also provide an app that delivers coupons to their customers. Customers can then show the app screen to the employees of the business in order to redeem it. Many businesses have apps that are a combination of the above elements – they show coupons and sale items, let customers make purchases, check store hours, get contact information – anything a website can do, an app can, too, but in better format for a phone. Another way apps can be used is to advertise the business. This type of app might do something useful for the customer. For example, a day care might provide an educational app for young children. A music store could have a simple app that lets the user play digital instruments. Apps don’t have to be targeted to the customer. Some companies need programs that do very specific things for internal use. Being able to accomplish your work in a timely, professional, and efficient manner is important too, and the right app can help you accomplish that. If it doesn’t already exist, you might want to have one developed. Apps can do a wide variety of things – see what other businesses have done to get ideas, but don’t be limited to what others have done, either. Get A Quote or Contact Us for more information about what app development can do for you. Nice post with great insights.The future for Apps is going to see a very bright future ahead is a booming industry with big brands coming in.Those who are not than better realise it sooner than later that this is the future.